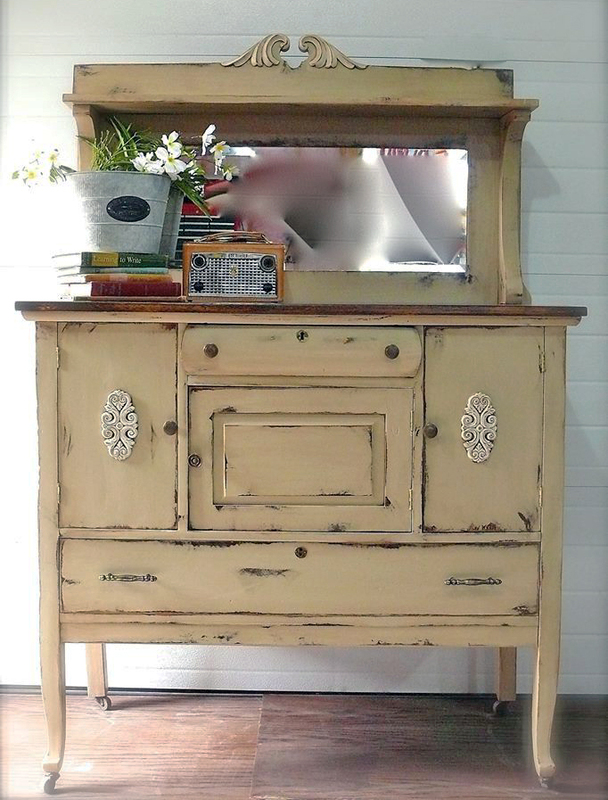 This antique sideboard was refinished by Dressers and Jujubes​ with General Finishes Millstone Milk Paint and Van Dyke Brown Glaze Effects. Love the rustic look! Beautiful job!